Ribs & Burgers – is there a better combo? The unique chargrilling techniques of Ribs & Burgers originate from the South African way of barbequing – braaiing. The result is slow cooked, melt-in-your-mouth ribs and succulent burgers with a signature pink sauce. 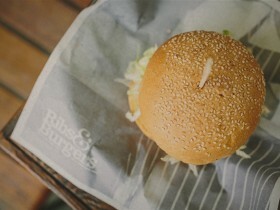 Ribs & Burgers is located on Globe Lane at 140, enter off William St between Jamies Italian and Koko Black.